Some people is too lazy to vote, that’s all. They don’t like this kind of weather. Some of them is sick in bed and can’t vote. Maybe a couple of them croaked recently. That’s ain’t no reason why Mayor Tillinghast should get cheated out of their support. It’s in this spirit of overcoming trivialities that I present the following interview with Raymond Chandler. Just because he hasn’t penned a word since the 1950’s is no reason he should dummy up now. In case you don’t know it, Chandler’s the bird what wrote “The Big Sleep,” “Farewell My Lovely” and “The Long Goodbye,” among others. By all accounts, Chandler and Dashiell Hammett make up the one-two punch that matured pulp, detective fiction. 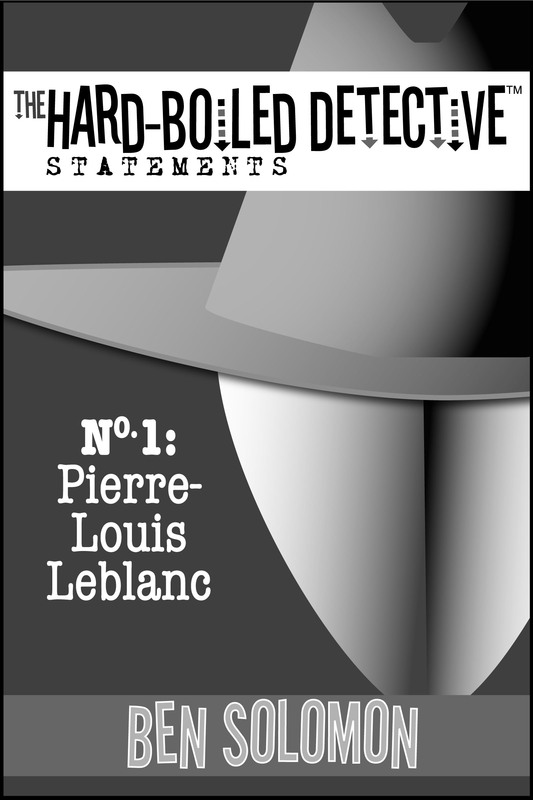 They gave it class with a capital K, and their polish and sophistication turned the hard-boiled genre into the stuff of literature. I hear some of their work is even assigned in high schools and universities across the nation. Not too shabby for a couple authors whose early works wore a Black Mask. Raymond Thornton Chandler was born in Chicago in 1888, and it’s about time he retuned for a visit. In world-class and world-weary style, no one paid us no never mind as we swapped questions and answers during a walking tour of the Near North Side. SOLOMON: Mr. Chandler, I thank you for granting this interview. I’m sure readers everywhere are plenty grateful, not to mention awful surprised. CHANDLER: Dead men are heavier than broken hearts. SOLOMON: I understand you didn’t go for it at first. I mean the first time my editor called you. CHANDLER: I hung up. It was a step in the right direction, but it didn’t go far enough. I ought to have locked the door and hid under the desk. SOLOMON: You two didn’t get along. CHANDLER: He was a guy who talked with commas, like a heavy novel. Over the phone anyway. SOLOMON: What did you tell him? CHANDLER: You talk too damn much and too damn much of it is about you. SOLOMON: He tends to do that. CHANDLER: He sounded like a man who had slept well and didn’t owe too much money. SOLOMON: Well I’m awful glad you eventually came around. CHANDLER: Sooner or later I may figure out why you like being a kept poodle. SOLOMON: I’d sure never admit to anything like that being true. And even if it was, I sure as hell wouldn’t like it. CHANDLER: You know Chandler. Always griping about something. SOLOMON: You are the first in the decadence of your art. CHANDLER: The more you reason the less you create. SOLOMON: It’s easy to stiffen up while sitting at the keys. That’s for sure. CHANDLER: The faster I write the better my output. If I’m going slow, I’m in trouble. It means I’m pushing the words instead of being pulled by them. SOLOMON: So how do you accomplish that? How do you pull it off? CHANDLER: Throw up into your typewriter every morning. Clean up every noon. SOLOMON: Isn’t that a little easier said than done? Don’t you run up against obstacles? Don’t you even create your own obstacles? CHANDLER: Everything a writer learns about the art or craft of fiction takes just a little away from his need or desire to write at all. In the end he knows all the tricks and has nothing to say. SOLOMON: I know what you’re getting at. But when you say it out loud it sounds kind of astounding. Almost appalling. CHANDLER: There is something about the literary life that repels me, all this desperate building of castles on cobwebs, the long-drawn acrimonious struggle to make something important which we all know will be gone forever in a few years, the miasma of failure which is to me almost as offensive as the cheap gaudiness of popular success. SOLOMON: Yet your work is still celebrated. “The Big Sleep,” f’rinstance, is held in the highest regard. That book goes back to 1939, for crissake. CHANDLER: There are no “classics” of crime and detection. Not one. Within its frame of reference, which is the only way it should be judged, a classic is a piece of writing which exhausts the possibilities of its form and can never be surpassed. SOLOMON: So you’re saying you never achieved that. Hammett, neither? Not anybody since? CHANDLER: No story or novel of mystery has done that yet. Few have come close. Which is one of the principal reasons why otherwise reasonable people continue to assault the citadel. SOLOMON: The public always loved the form, anyway. And still does. CHANDLER: An age which is incapable of poetry is incapable of any kind of literature except the cleverness of a decadence. 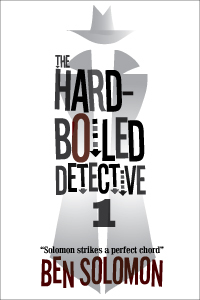 SOLOMON: I take it you don’t go in for a lot of the contemporary, detective fiction. CHANDLER: The flood of print has turned reading into a process of gulping rather than savoring. SOLOMON: Is there such a thing as being too critical? Perhaps a touch too severe? CHANDLER: A classical education saves you from being fooled by pretentiousness, which is what most current fiction is too full of. SOLOMON: So who do you recommend? CHANDLER: Hammett was the ace performer. SOLOMON: You can’t go wrong with Dashiell. CHANDLER: —is the record of a man’s devotion to a friend. He was spare, frugal, hard-boiled, but he did over and over again what only the best writers can ever do at all. He wrote scenes that seemed never to have been written before. SOLOMON: That’s one heck of a compliment. CHANDLER: The challenge is to write about real things magically. SOLOMON: Who sounds pretentious, now? CHANDLER: Without magic, there is no art. Without art, there is no idealism. Without idealism, there is no integrity. Without integrity, there is nothing but production. CHANDLER: Don’t ever write anything you don’t like yourself and if you do like it, don’t take anyone’s advice about changing it. They just don’t know. CHANDLER: I am a writer, and there comes a time when that which I write has to belong to me, has to be written alone and in silence, with no one looking over my shoulder, no one telling me a better way to write it. SOLOMON: You are your first and last audience, if I get you right. CHANDLER: It doesn’t have to be great writing, it doesn’t even have to be terribly good. It just has to be mine. SOLOMON: It always sounds too damn easy when you talk it through. 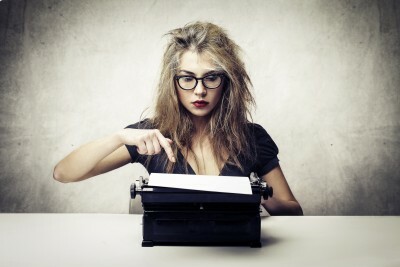 So easy to say it’s all about the writing. SOLOMON: But it don’t mean a thing if it ain’t got that swing. CHANDLER: Everything written with vitality expresses that vitality: there are no dull subjects, only dull minds. SOLOMON: If I’ve got it right, you kinda write as you will, artistically speaking, I mean. The notion of creating art isn’t part of what you consciously do. CHANDLER: There are no vital and significant forms of art; there is only art, and precious little of that. SOLOMON: Ain’t that the truth? CHANDLER: There is no bad whiskey. There are only some whiskeys that aren’t as good as others. SOLOMON: Now I believe you’re quoting yourself…I wanted to take you for a bite, to one of those venerable establishments you might remember. But you know things can never be the same. The Blackhawk, Barney’s Market Club—both gone. Even the Berghoff ain’t what it used to be. Sure. SOLOMON: Maybe I should just rustle us up a couple of dames. CHANDLER: I do a great deal of research—particularly in the apartments of tall blondes. SOLOMON: Then maybe I should just leave you to it and say goodbye. CHANDLER: To say goodbye is to die a little. The funny thing is, see, I’ve been writing detective stories. That project is another yarn in itself, but my point is that I’ve been walking around for awhile now with hard-boiled notions racing through my head. So imagine walking out to my car, on my way to a coffee date, when a bright, blue object in the street catches my eye. Sure enough it’s a wallet. It’s a bloated wallet. It’s a wallet thick with masses of credit cards and receipts and coupons and club cards and business cards. I’d say the damn thing was thicker than a corned beef sandwich at Manny’s. So now I’m stuck. I can’t leave the thing in the street and I can’t turn it into anybody–believe me, I’ve got all the respect in the world for the boys in blue, but I was always told to avoid coppers just like you avoid hospitals and the military. So I was stuck. I took the exploding billfold with me to the cafe. I started rifling through its contents as I explained the situation to my coffee-mate. Sure, I could’ve contacted one of the bank card companies, but that’s just opening up another can of worms. All I wanted to find was a phone number, one lousy phone number. Needless to say, buried in the depths of the purse’s crevices and pockets, among all those slips of cards and papers and scraps, I came up blanksville. Zippo. No phone, no way, no how. But my deductive powers were sharpening, a circumstance I attribute to those P.I. tales I’ve been penning. See, I found this business card. Some kind of nutrition center. And it was located less than two miles from where I sat at that very moment. And it was on the way home. Ain’t that swell? All I had to do was pop in, ask the receptionist to give their client list a look-see, place a call, and pass on my number. Easy, right? In a pig’s eye. I found the joint easy enough, a big office in this ritzy complex just off of Clark and Diversey. And the dump is closed, locked up tighter than an embezzler’s safety deposit box. When I got home I surfed all the usual suspects looking for a lead and came up with zilch. I was resigned to calling one of the credit card companies. But, I decided to check through the volumes of flotsam contained in the billfold one last time. And that’s when I found it. A credit card recept that had been run through one of those old machines that uses a carbon. The thing had been folded, spindled and otherwise mutilated, but it also had handwritten notes on it. One of the handwritten notes was, hold on to your fedora, a telephone number. So I dialed per the receipt, got the tootsie on the line, and was she ever bowled over with relief. Somehow she had dropped the two-ton wallet in the street without noticing. Go figure. So she swung by my place that night to retrive the pocketbook, and she kept falling all over herself with thanks. She was on the run, getting ready for a trip out of town, but had one last thing to tell me before she skidaddled: “You’re my guardian angel,” she said. That’s me all over, all right. Sam and Phil and me. We’re all guardian angels. Sometimes my line of work calls for it.